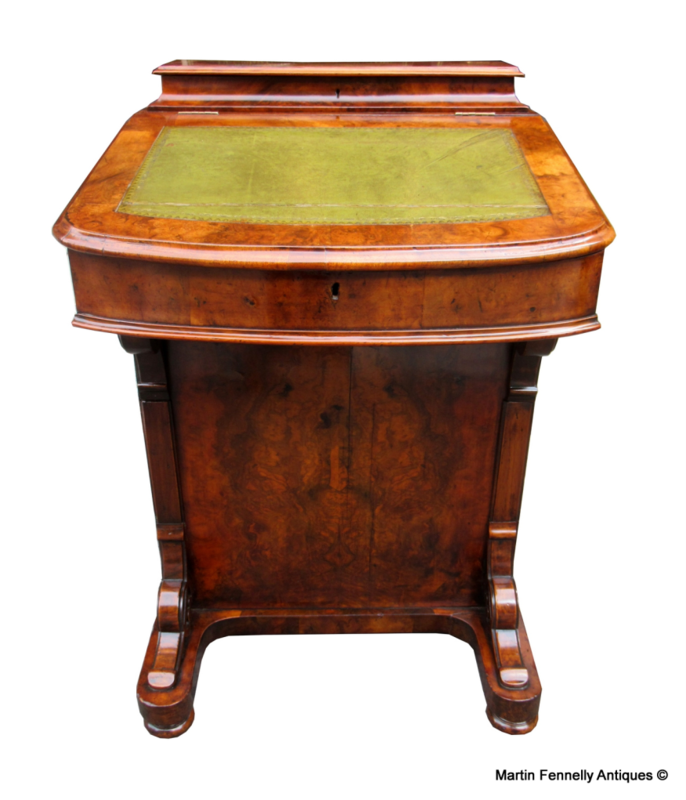 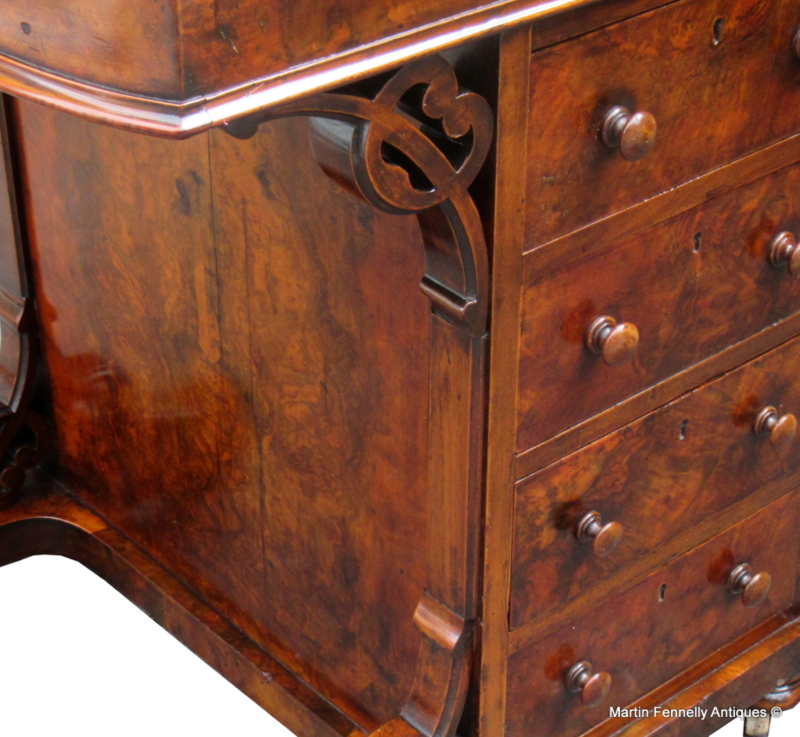 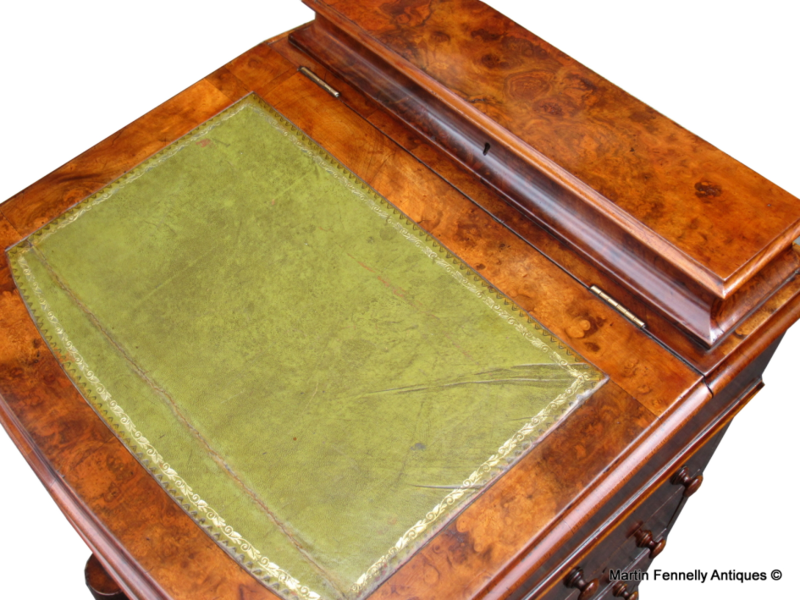 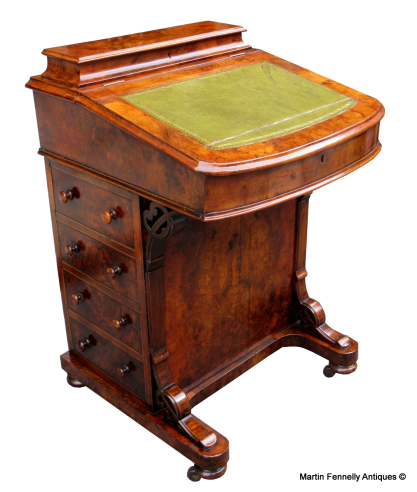 A Wonderful mid 19th Century Victorian burr Circassian Walnut Davenport with four drawers. 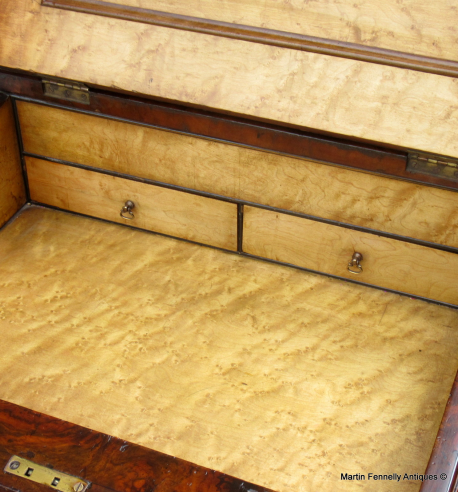 This English Davenport os traditional form has a deep rich patina with an upper tier with a lift up lid revealing a storage compartment above a fall front tooled leather top writing surface lid which opens to reveal storage space and fitted satin birch interior. 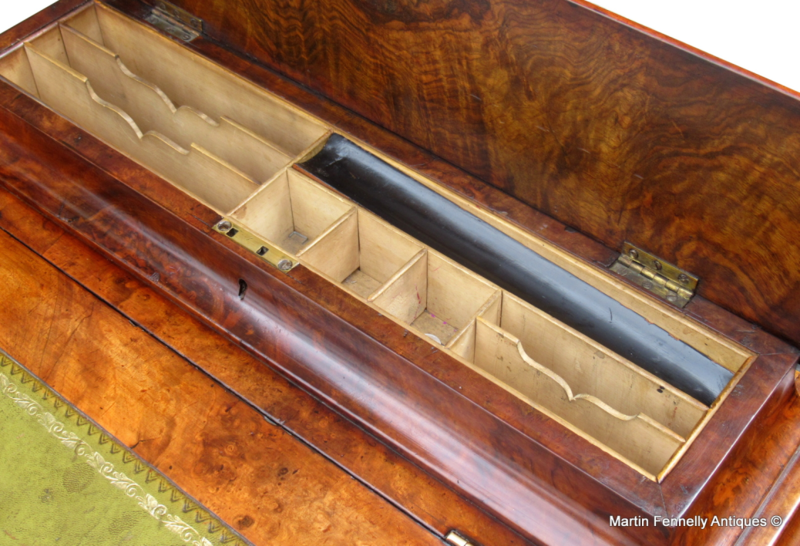 The left hand side having four dummy drawers with the right being four working drawers veneered in burr walnut with original wooden knob turned handles and twin pin locks, all with fine hand cut dovetail joints. 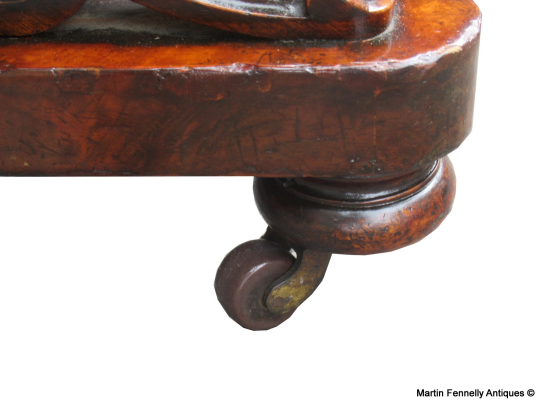 The front having an inlaid moulded panel with carved fretted brackets to the top and bottom with the whole being raised on turned walnut bun feet and original castors. In excellent showroom condition having been restored using traditional methods and boasting a wonderful warm honey colour.